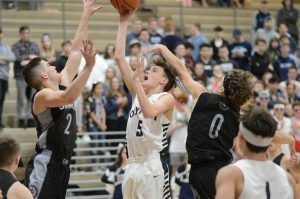 Olympia High School boys basketball coach John Kiley believes the 4A South Puget Sound League (SPSL) is as deep as it’s ever been this season, and because of that teams are going to have to find an advantage every night in order to contend. 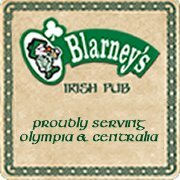 The calling card for Kiley’s Bears has always been hustle, fundamentals and an unwavering dedication to playing team basketball. These traits trump everything else. There have been plenty of seasons during Kiley’s two coaching stints at Olympia where his team had to rely on these characteristics out of necessity if they wanted to be successful because they didn’t have any size or length to fall back on. And when you’re playing in the 4A SPSL, and before that the equally enormous 4A Narrows League, you need size. 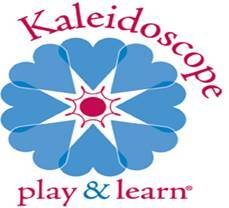 This year, Kiley’s core values are once again present – they commit to playing defense, they move the ball and make the extra pass and they aren’t bashful about doing all the thankless grunt work that proves to be invaluable during the course of a game. But what makes this team different than others is that these Bears are big. 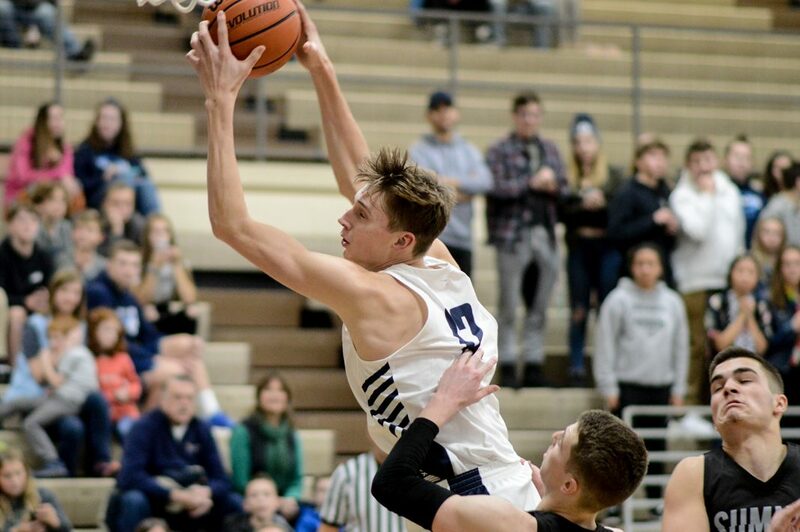 In addition to a seemingly endless stream of 6-3 and 6-2 guards, Kiley also has one of the league’s top front courts at his disposal, spearheaded by the dangerous duo of 6-9 sophomore Jackson Grant and 6-5 senior Andrew Lindsay. 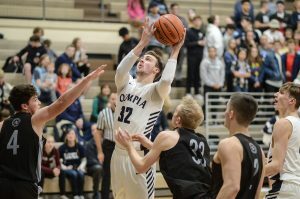 Olympia is off to its best league start since joining the SPSL three years ago, opening league play 4-0 with the Bears’ top win so far coming in a 57-54 triumph over Curtis, a program that has won the last four league championships. Junior Ethan Gahm, who is one of the aforementioned 6-3 guards, chipped in 21 points, while Lindsay went for 16, helping the Bears defeat the Vikings for the first time since joining the league. Fewer players can appreciate simply being out on the court more than Lindsay. Kiley estimates over the last two years Lindsay has missed 30 out of a possible 45 games due to injuries. First he was sidelined with torn tendons in his foot before tearing his meniscus and MCL in his right knee. If that wasn’t enough, Lindsay also tore his ACL, forcing him to miss half his junior season. A physical player who provides Olympia with plenty of toughest in the pain, Lindsay overcame each injury and nine months of physical therapy simply to return to the court. Now he plans to make every minute he is out there count. While Lindsay plays primarily down low, Grant gives the Bears a different look on offense as a multi-facet stretch forward who is equally effective at hitting a 3 as he is at close range. 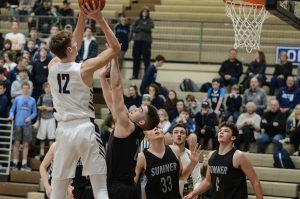 Grant’s arsenal was on full display in the Bears’ 61-52 victory over Sumner when he went for a career-high 25 points. 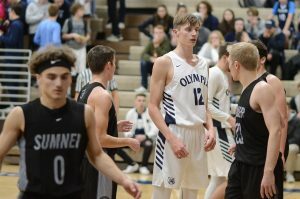 As expected, opposing teams are now forced to deal with a far different, more confident Grant than the one they saw last year during his baptism-by-varsity-fire freshman campaign. Which spells trouble for opposition.